These handy double sided Poster Holder Frames come in 2 sizes for A4 and A3 sized posters. 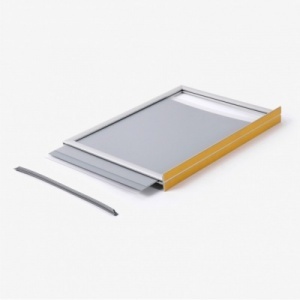 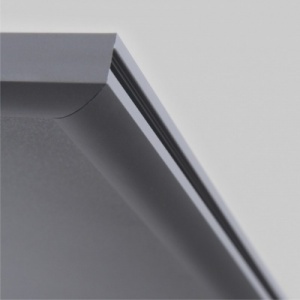 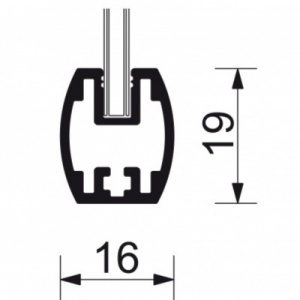 Ideally suited for mounting onto any flat surfaces the flat base profile has high quality double sided tape fitted for fast and easy installation. 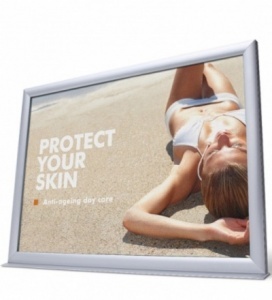 The posters slide into the edge of the poster frame which is then sealed securely with a rubber gasket. 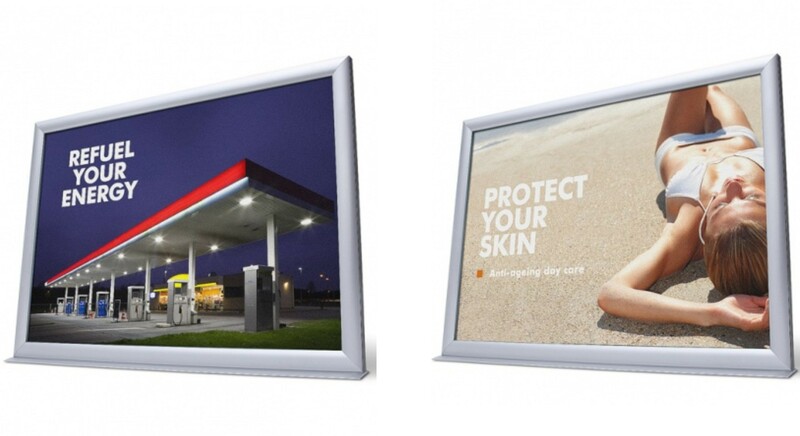 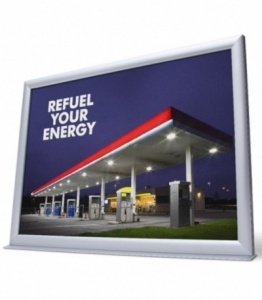 Being weather resistant these poster frames can be used internally or externally and are widely used on forecourts and as counter top promotion units.